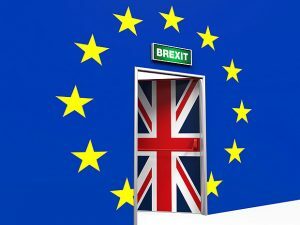 The results of the Briexitreferendum have sent shockwaves across the globe with a fear that the exit of the United Kingdom from the European Union will affect the world economy. Similarly,Britons’ verdict in fvaour of quitting the 28-natio-block has put the future of the EU into uncertainty. The people of Slovakia and the Netherlands have already started demanding similar referendum on their nations’ membership of EU. British Prime Minister David Cameron who led the voters favouring ‘remain’ announced he would step down in October after the results went against him. His decision to quit the prime ministerial post following the defeat of his policy to remain in the EU was termed as a very ethical move. Even the Nepalese hailed the announcement expecting similar acts from their leaders in home. “The ‘leave’ outcome has introduced substantial uncertainty that likely would dampen the U.S. growth by delaying and or reducing business investment and consumption expenditures,” said William Lee, head of the North America Economics at Citigroup in New York, according to the Reuters. Nearly 52 percent British people voted to leave the EU. With the results the Britons themselves have been polarized with the people of the ‘remain’ areas coming in more strongly for’ remain’ than expected, and ‘leave’ areas more strongly for leave. News agencies reported that geographically, Scotland and London have voted overwhelmingly for remain, but outside the capital, every English region had a majority for leave. Former London mayor Boris Johnson had spearheaded the ‘leave’ campaign while Prime Minister Cameron the ‘remain’ move. Johnson is now portrayed as the likely successor of Cameron, who opposed the movement to leave the European Union. The Briexit results came as shocking for the world powers as they fear the exit of the fifth largest economy of the world from EU will leave a negative effect on their national economy and businesses. The stock market has already shown the signs while China decided to devalue its currency by 0.9 per cent fearing that Britain’s exit will affect its economy. The Japanese companies have also affected with the results. Though it will take about two years for the UK to formally leave EU, concerns regarding the negative effect of it have already been high. “Sterling fell more than 2 percent, the euro took a hammering and stocks dropped again on Monday as Britain’s vote to leave the European Union drove investors to seek safety in the yen, gold and low-risk government debt,” media reported. US President as well as the other EU leaders were against the idea of holding the elections on UK’s membership to EU. However, US presidential candidate Donald Trump hailed the exit. UK Prime Minister Cameron held the referendum as he had promised during the general elections. Even the Nepalese and other Asians living in the UK will benefit from the decision as the UK will no more entertain the migrant from the European countries. As an EU member, UK should have allowed any Europeans from the 27 EU nations to enter the UK without taking visa. The inflow of migrant workers to UK from the Eastern Europe has created unemployment situation for the Britons and the migrants from Nepal and other Asian countries. For example, 2.6 million polish entered UK searching for jobs in the recent years. The rumours that Turkey is joining the EU forced the Britons to go for the referendum and vote in favour of ‘leave’. With quitting the EU membership, it is not necessary for the UK to entertain the Europeans. Absence of Europeans in UK means the Nepalese migrants can easily get jobs there. Yes, the Nepalese cannot run free business to other European nations from UK, but the share of Nepalis’ business is very small in Europe. There are also others who fear the separation of UK from EU will lead the decline of UK economy resulting closure of business and unemployment and decline in the British support to Nepal. Anyway, the British people who once were the most powerful people of the world have denied remaining under EU and their decision has put the fate of EU into uncertainty. Previous Why Pushpakamal Dahal cancelled his visit to Australia?